Before advertising, I was a journalist. 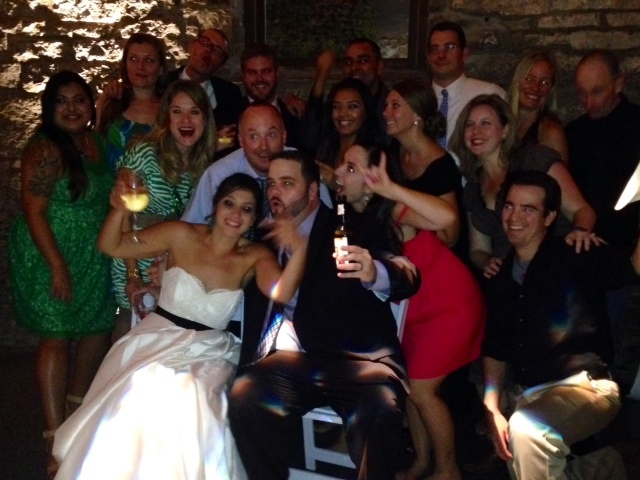 Last weekend, I joined a group of former colleagues from The Monitor (read: first real job) to celebrate the wedding of two friends who now call Nashville home. More than a decade ago, our South Texas paths crossed as newly minted journalists in hot pursuit of a lead story and the Spanish language. It was inside that McAllen, Texas, newsroom where lifelong friendships were born, and — as this weekend would prove — a certain romance blossomed. My tenure as a copy editor and occasional reporter for the newspaper there only spanned 2002 to 2005, but as a young twenty-something, those years naturally provided me a great deal of personal and professional growth. Not to mention a whole lot of politics, religion, heartbreak and cheap Lambrusco. Cue Sarah McLaughlin. But perhaps more important to our local readers was the other stuff. High school football. The daily crossword. Quinceañera announcements. Letters to the editor. And, of course, the obits. I spent countless Friday nights proofreading editorials, waiting for overtime scores, or poring over descriptions of lost loved ones. And I was smitten. It’s been many years since I left the paper for a relationship with the web. The digital news cycle has long since transformed the role of newspapers, but The Monitor hangs on — keeping a vital pulse on the Rio Grande Valley and its community. That newsroom is where I first learned the Space Shuttle Columbia disintegrated over parts of Texas. That Dubya was re-elected president. That Elizabeth Smart was found alive. That the DC snipers were captured. That the aftermath of Hurricane Katrina was much worse than anyone ever expected. Yankee girl marries Southern boy. And just like old friends do, we picked up right where we left off — celebrating the new couple with the The Hora, a little two-step, y un poquito de Selena. Mozel tov, indeed. A lederhosen-clad fellow at the Germantown Festival in Nashville, Tennessee, plays a hand-cranked Raffin street organ. 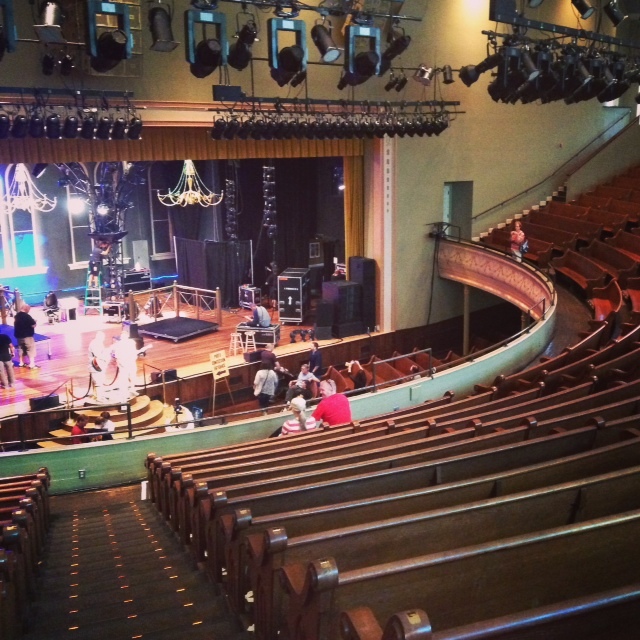 Behold Ryman Auditorium, home of the Grand Ole Opry from 1943-1974. We took a self-guided tour around the National Historic Landmark, which first opened in 1892 as the Union Gospel Tabernacle. Now, the popular Nashville music venue plays host to myriad performances and events. On this Saturday afternoon, the crew prepped for a sold out Lumineers show. The scene looked a lot like this on Saturday morning as we arrived in Germantown. 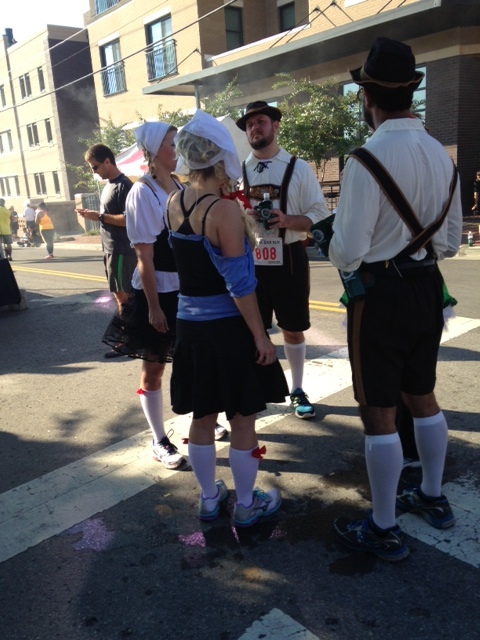 Men and women in lederhosen and dirndls lined up beside us for the annual 5K run/walk through the historic streets and farmer’s market of Nashville. At the finish line: A commemorative bier mug and complimentary Oktobefest brew. Obviously. That’s Alice. She plays the canjo. Its long neck is made from reclaimed wood, then fitted with a single Banjo string and a can of SPAM. An empty can of the potted meat apparently produces better sound than, say, Campbell’s. 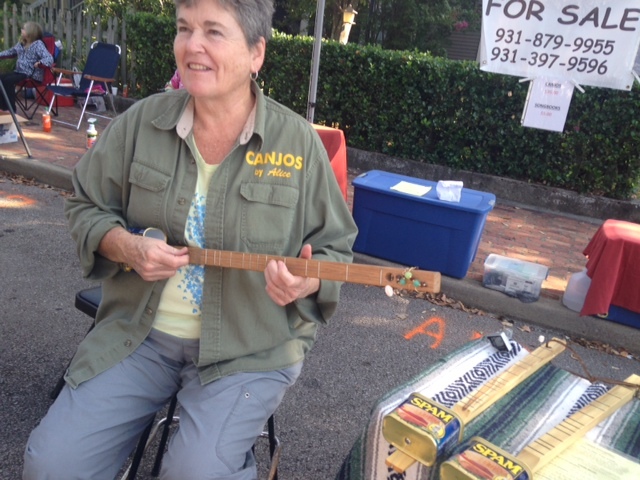 In fact, each canjo is tuned to the key of D. I found Alice selling the instruments at Oktoberfest in the Germantown neighborhood of Nashville on Saturday morning.